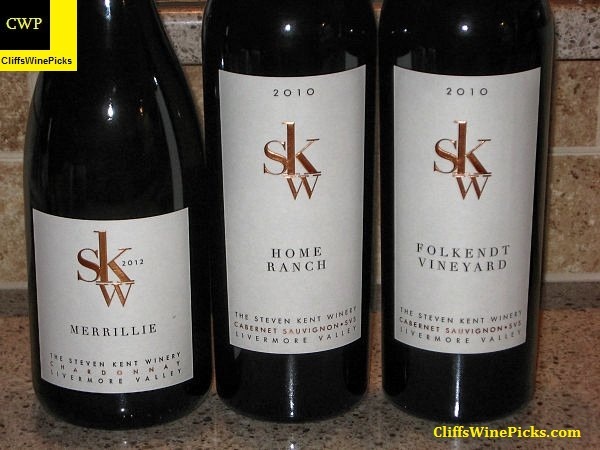 I was recently lucky enough to receive some wine samples from the Steven Kent Winery. I had the opportunity to try some of their wines last year and I was very impressed. To say I’m excited to try these wines would be a big understatement. Much more information, links to the wineries, and purchasing information is available on their website. Livermore Valley has a long, dedicated history of growing the “Bordeaux” varietals, and in particular Cabernet Sauvignon. In the 1880s, pioneering winegrowers began to discover the potential of the Livermore Valley region. Then, as today, L.V.’s climate and soils closely resemble those of Bordeaux’s famed left bank of the Gironde. By the turn of the last century, LivermoreValley was already far ahead of its NapaValley neighbor in specializing in the Bordeaux varieties. Our goal at Steven Kent is to carry on that tradition. This 100% Chardonnay uses fruit from the Landucci Block of Chardonnay, in the LivermoreValley, about 1.5 miles west of the winery. This block is planted to one of the older Wente clones. The first varietally-labeled Chardonnay was made from Wente clone fruit, and many of the most sought after clones in California (Robert Young, Hyde Selection) are children of Wente clone material. After destemming and crushing the fruit was transferred to stainless steel tanks where it was allowed to settle for about 48 hours prior to fermentation. The must was then transferred to barrel where it underwent both primary and secondary (malo-lactic) fermentation. The wine was aged sur lie for 8 months in 60% new French oak barrels. The wine was then bottled without filtration or fining. 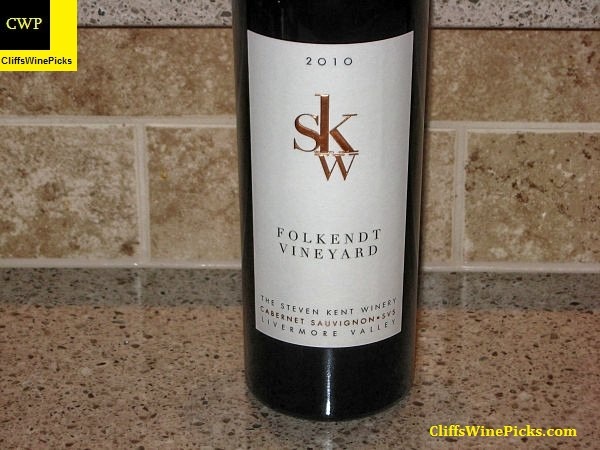 The wine has 14.7% alcohol by volume and the bottle is sealed with a natural cork. 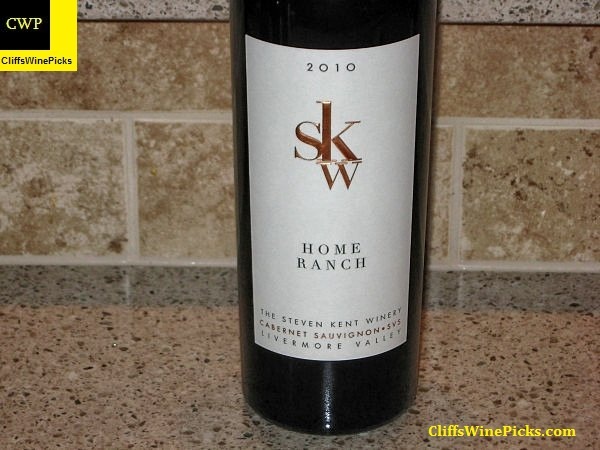 This 100% Cabernet Sauvignon wine is from the site of the winery’s tasting room on Tesla Road. The 2.8 acre vineyard block was planted in 1996. After destemming & crushing the fruit was fermented in open-top fermentors. It went through primary fermentation & maceration in bin then malolactic fermentation was induced in barrel. The wine was aged for 24 months in 100% new French oak barrels before it was bottled without filtration and fining. There were only 189 six-packs of wine produced. 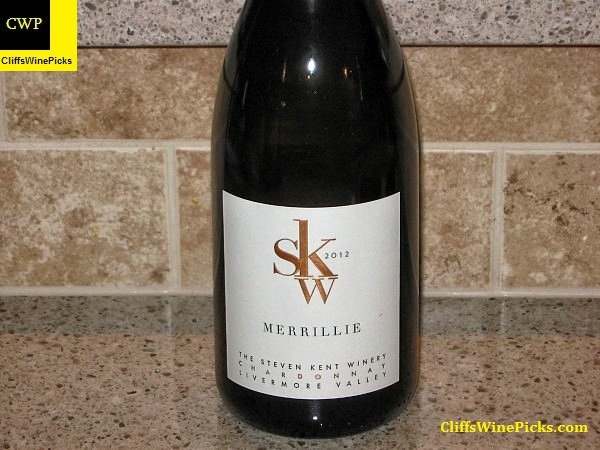 The wine has 14.1% alcohol by volume and the bottle is sealed with a natural cork. This 100% Cabernet Sauvignon comes from a 4.5 acre vineyard planted in 1992 on Greenville Road in the LivermoreValley. After destemming & crushing the fruit was fermented in open-top fermentors. It went through primary fermentation & maceration in bin then malolactic fermentation was induced in barrel. The wine was aged for 24 months in 100% new French oak barrels before it was bottled without filtration and fining. There were only 143 six-packs of wine produced. The wine has 14.2% alcohol by volume and the bottle is sealed with a natural cork. Both of the cabernets tasted better on the second and third day. If you open one, give it plenty of air but it would be preferable to stash them in the cellar for a year or two. The Chardonnay will also reward some time in your cellar but is very tasty with some air.